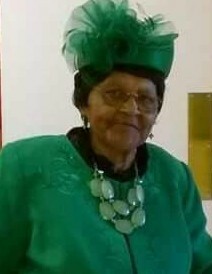 Obituary for Mrs. Geraldine Privette | William Toney's Funeral Home Inc.
Mrs. Geraldine Privette, age 83 of Zebulon departed this life on Tuesday, February 5, 2019. Funeral services will be held on Saturday, February 9, 2019 at 2:00PM at Victory Tabernacle Church, 328 W. South Street, Raleigh, NC. Interment will follow in the Wakefield Baptist Church Cemetery, Zebulon. Visitation will be held on Friday from 3-7 PM at William Toney's Funeral Home in Zebulon and at the Church from 1:30-2:00 PM prior to services.